I remember the first few weeks of working for myself. I was like a blind woman, wandering around, trying random things. I put a profile up on a tutoring site, and the first time someone hired me to tutor her felt like a dream. Wow, I thought. I can really do this. As exciting as it all was, I just wanted to be further into the journey, to know how to do it all already. Since then, I’ve tutored dozens of kids, teenagers, and adults. My friend and I started a web design business, and I built websites for small businesses and even a small medical college. I’ve taught over 100 women in a membership site I built from scratch. When I built my first online business, I felt a fiery desire to learn everything I possibly could. I threw myself into online courses, listened to dozens of podcasts, and invested in all of the best apps. I was a woman with a dream, and nothing could stop me. I built a Facebook group to 6500 people. I sold online courses, and coaching, and did all of the things I had dreamed of doing. And then. Things didn’t work out exactly how I had hoped. I closed down my membership site, knowing in my gut that, even though I loved the community, I didn’t want to teach about blogging forever. I didn’t have the passion, the stamina, or even the desire to keep it going. Then, for months, I sustained myself through freelance writing, something I am good at, but that doesn’t light me up inside. I ached for that missing sense of purpose and joy. Wandering around this strange no-woman’s land, I wondered, How do I reclaim my passion for creating? How do I pick myself up, dust myself off, and start over? This in-between place feels so different from where I was when I first started. And it seems like most of the support out there is designed for people who need to learn the ropes of business, not folks like me who know how to do it, but feel stuck and lost and disillusioned. I want a course for people who know how to do online business but who have tried all of the tips and tricks, have used all of the templates, and want to start fresh doing things their way. Who have exhausted all of the worn paths and are ready to hack their way through the woods, if only we had the courage and the strength to get up and try again. As you can tell, I’m still in the middle of the process myself, but here are some of the things I’m learning and trying. If you’re a few years in and exhausted, maybe this will help. 1. Honor yourself for all the work you’ve done so far. Sometimes I forget to pat myself on the back and remember everything I’ve learned and tried and accomplished. I look back at the past 5 years and see a void. But when I’m able to remember all of the things I’ve added to my proverbial backpack over the years, it reminds me of how capable and strong I really am. Imagine you’ve brought a backpack with you through all of your business/blogging/self-employed experiences. What new skills and strengths have you put in your backpack? What useless things have you removed? 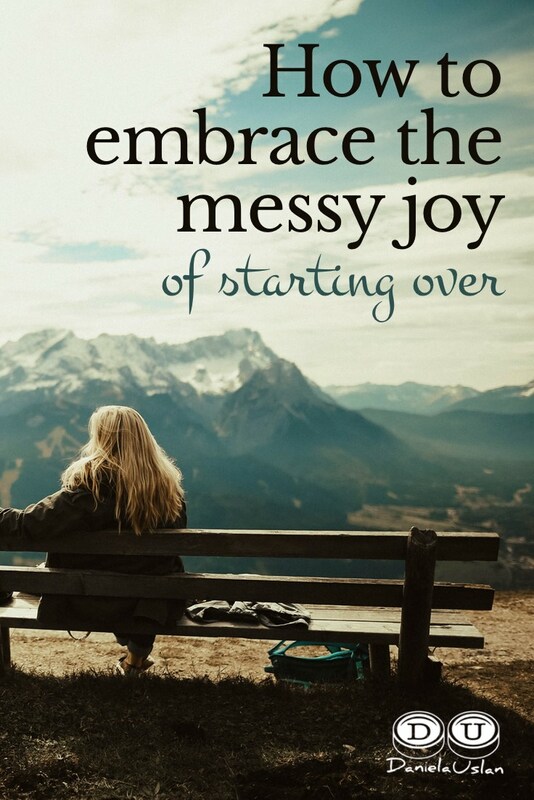 When you realize how much you’ve gained and how full your backpack is (luckily it’s imaginary, so you don’t have to struggle to carry it), you’ll feel so much better prepared to get up and start over. I’ve realized that in the process of starting over, it’s been hard to think small. When I first started my blog coaching business, I created a free 5 day course, and got 30 people to join it. It was a small, doable experiment to see how viable my business idea was, and I loved it. This time, I’m doing a writing workshop for 7 women in my apartment. A small, intimate experiment that makes me happy. I think that we often forget (or at least I do) that most businesses start small. It’s these simple actions – writing a blog post, offering a workshop, creating a PDF, that add up into something larger. Just like, when I first started, I wanted to be an expert already, now, I want my new writing coaching business to be HUGE and SUCCESSFUL. I want to be making a full time income from my efforts. But I can’t build a big business in weeks. All I can do is focus on small things that make me happy and fulfill me. If you’re in between businesses/projects, or if you’re losing excitement for your current business/project, try out mini-experiments that will bring you closer to the business you want. Last night, my friend Ani and I discussed this question: How do you know if an experiment is successful? Ani’s measures of success are more about metrics. How much money does it bring in? If she scales it up, does it show that she’ll earn what she wants in the longterm? Figure out your own measures of success. They can be nebulous and feelings-oriented like mine, or numbers-driven like Ani’s. If they feel good to you, they are good. I’m reading a book called Self-Compassion by Kristin Neff. She talks about the importance of giving yourself compassion no matter what. Instead of letting yourself continue on that treacherous path, give yourself a hug, wrap yourself in your favorite blanket, and whisper soothing things to yourself. Remind yourself that you are human, that you’ve come a long way, and that it’s okay to fall down and get back up again. I don’t know about you, but I’d much rather work for a boss who is compassionate and kind, who gently pushes me to get back up and try again, than one who berates me and doubts me at every turn. When you work for yourself, you are your boss. (Not to state the obvious, or anything.) So be a kind one. The great thing about failing is it shows you that even when you try to do everything right, it often falls short or blows up in your face. Why is this a great thing, you ask? 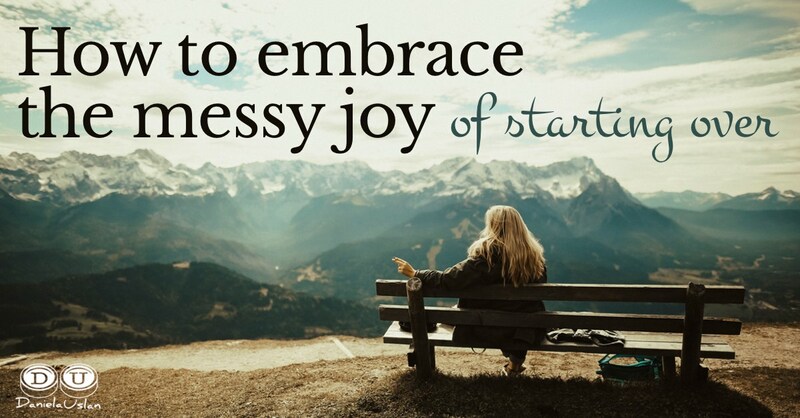 Because it gives you the freedom to stop trying to “Do it right,” and instead, to do it in a way that you enjoy. Maybe this time, instead of loading up on online courses and trying to do what some guru tells you to do, you’ll listen to your intuition, instead. When something doesn’t feel right to you, stop doing it. Even if “everyone” is saying it’s the best thing since cold brew coffee. When you get the urge to try something that feels weird and different, do it. Ignore the voice in your head that’s trying to keep you safe by stifling your creativity. Make a big sign that says “Trust Yourself” and hang it up somewhere in your house, or office, or both. I suggest taping a bunch of paper together, writing it in huge bubble letters like you did in elementary school, and coloring it with magic markers. But one of the worst things you can do when you’re down and out is to isolate yourself. If you feel frustrated that something didn’t work, if you feel discouraged and afraid to try again, talk about it. Talking about things makes them seem less scary. It reminds you that you’re human and that part of being human is trying things that don’t work out. Find one friend to reach out to and tell her (or him) how things are going. Make sure it’s someone who you can trust, and who loves you, and who won’t make you feel worse. Tell her what kind of response you want. Do you want her to just listen and reflect? Do you want her to share her own stories that connect with yours? Are you looking for advice? Be clear about what you need from her. Then be honest. Let yourself be seen. Share what’s real for you right now. Bring your pain and your shame into the light. I’ve spent many days reading on the couch for hours, telling myself I’m taking care of myself, all the while feeling like I should really be doing something productive. Really, this isn’t self-care. It’s hiding. What do you do to avoid facing your feelings? Do you bake cookies? Read? Play video games? Whatever it is, recognize it. When you find yourself hiding in an activity, first, give yourself compassion. Then get curious. Ask yourself, What am I hiding from right now? Set a timer for 10 minutes and then write whatever comes up for you. Do one action that makes you feel good. You can hide for days, weeks, even years, from your true feelings and desires. But once you face them, you can stop hiding and step fully into your life. Being in between things is hard. But if you give yourself compassion, if you try small, joyful experiments, if you stop worrying about “doing it right,” if you reach out for help, and if you come out of hiding, you will soon find yourself back on the path of creation. You’ll find the courage and the strength to try again. You’ll be able to pick up your imaginary backpack and cut your own path through the magical forest.